If you read my recent post about my fear of raising little girls, you know that I am not one to wear dresses. However, one of the few times growing up I was excited to pick out and wear a dress was Prom! I remember going to countless stores with my mom in the local malls looking for the perfect dress. It had to not only fit my very petite, yet athletic body, but it also had to fit in our budget. At the end of what seemed like days upon days, I was exhausted! Now, with the help of the internet, you can pick out the perfect dress without ever living your living room or taking off your PJs! For weddings, anniversaries, and parties of all sorts, the supplies and fashions you use reflect the importance and glamour of the occasion. Get the best items for your event without breaking your budget at DressFirst.com. We are a trusted global online retailer that gives you the highest quality event supplies—from custom-made couture bridal dresses and unique jewelry to a wide range of elegant party supplies—to make your special moment unforgettable. DressFirst.com understands the importance of your event, which is why we only provide the highest quality materials and designs in everything we deliver. For dresses, we have over 1,200 styles that be customized and tailored to your exact specifications. And, all of our selections are incredibly affordable, starting at just $79 and featuring savings of up to 60% off competitors’ prices. From bridal gowns to evening dresses, you deserve to look your most fabulous during your big event. DressFirst.com turns your fantasy into reality by providing exceptional couture bridal fashion and impeccable design at affordable prices. Our collections use only the highest quality materials and detailing, creating styles that are not only timeless but that also represent the best in value. The last thing you need for your special event is a late delivery of a crucial item (like a wedding dress or essential party supplies). DressFirst.com puts your priorities first and ships across the globe with such as DHL or UPS. We provide expedited shipping as well as budget conscious options. As we use internationally trusted logistics providers, you gain peace of mind knowing that your important supplies will be there when you need them. Online shopping can be intimidating in our modern age of Internet fraud. But it doesn’t have to be that way. 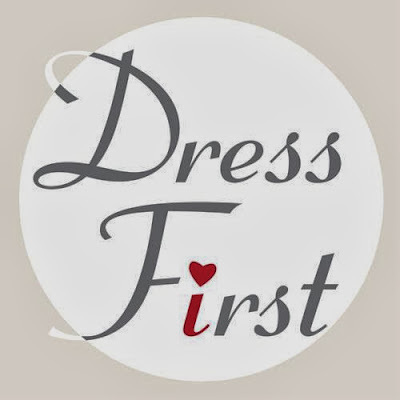 DressFirst.com offers a secure and safe shopping environment for all customers. We use trusted payment processing systems, integrate VeriSign’s globally recognized payment technology, and accept credit card, debit card, wire transfer, Western Union, and PayPal payments. Now you have the convenience to pay as you like and the confidence that your information is safe. We understand that preparing for your big event can be stressful enough. That’s why we deliver world-class customer service to ensure your shopping experience at DressFirst.com is as smooth and pleasant as possible. Whether you have questions before you order or after your items have arrived, we have experienced customer service professionals available via live chat or through fast response ticket system. From the beginning to the end of your shopping experience with us, we are dedicated to making you happy. Hundreds of beautiful prom dresses in various styles. A perfect style for any body type. Wide range of prices to fit almost any budget. Reviews of dresses from real people just like you! Easy to sort and browse by Recommended, Most Popular, Newest Arrivals, and Price. Accept all major credit/debit cards and Paypal for payment. Free Shipping on all Prom and Wedding Dresses (current special). Not looking for a Prom dress? They also offer a huge variety of dresses for any occasion, including weddings, cocktail parties, etc. Check out the Dress First website now! Also, be sure to follow them on Facebook and Twitter to get the latest updates to their selection and sales! i have girls too and cannot fathom this yet lol but this looks like a great site to help get a dress! LOVE IT!